All rental pieces are available individually or can be combined for a package deal customized for your special event. Contact us for more details about the many rental items available from Southern Jeweled and to discuss your vision for décor and props. Rental Prices will vary depending on the pieces and time frames you will need them. Delivery and pick up are available for an additional charge depending on the size of the items and location of the event. Delivery Service available in Texas and Oklahoma within approx. 60 miles of Wichita Falls, Texas. Security deposits are required for rentals and or bookings for your event date. Call us and we can put something together just for you! We have so many props to choose from to design the vintage photo shoot of your dreams! We offer on location set ups for sessions or rent items and take them where ever you want for a DIY. Use them in engagement, bridal, family, birthday, and maternity shoots. Whatever vintage set up you’re looking for we probably have the props! Look through our inventory albums here or see our many shared shoots in the "photo sessions" tab. We are constantly adding more inventory! We can build you a "vintage photo booth" dressed up for fun DIY photos! Have an idea you want to see come to life? Call us, we can help you make it happen! 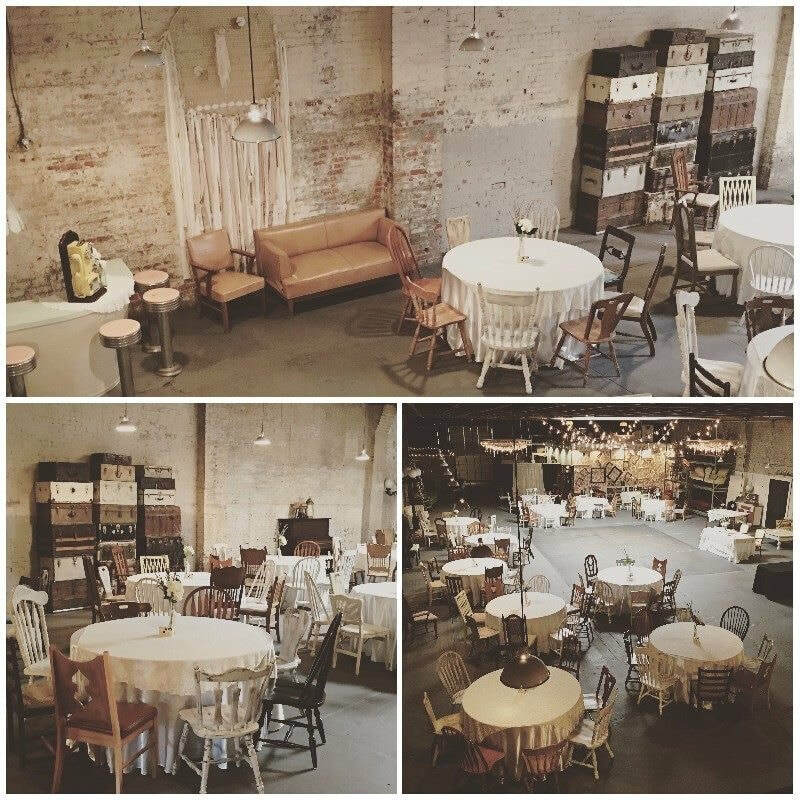 There are so many ways to make your wedding unique with vintage items! We have thousands of props to customize your wedding and wedding reception! Choose from as many different items as you can imagine. Elegant, Shabby, Rustic, Retro, create some for him and create some for her. Mismatched chairs, layered lace and linens and a different centerpiece for every table! We have many vintage props for customized food tables, candy bars, drink bars and gift tables. They can also be customized for the theme and colors of your special party or event. Unlimited options... Share your dream vision with us, we would love the opportunity to help bring it to life! Have the color combinations you choose available to you easier by ordering customized items from us! We make dream catchers, rag curtains and rag garlands for inside or outside events. They are so pretty behind your photo booth, reception table, or even as an arch background. We offer bunting flags in many sizes and colors, custom wine bottle vases, one of a kind book décor, personalized in your wedding colors. We also create table numbers out of many different items such as barn wood, stained tea bags and vintage jars. Just let us know what you have in mind! We love to create! Do you have vintage items you'd like to sell? We are always in the market for more! Just let us know what you have! And in our case sharing, to create & make beautiful things happen!